April 10, 2015 – Ball Aerospace & Technologies Corp. is highlighting 25 years of revolutionary science delivered by the Ball-built instruments on the Hubble Space Telescope at the 31st Annual Space Symposium, April 13-16 at the Broadmoor Hotel in Colorado Springs, Colorado. Ball Aerospace in Boulder, Colorado has been involved in the Hubble program throughout its history. Ball built the Goddard High Resolution Spectrograph (GHRS), one of the original science instruments launched on board the Hubble Space Telescope on April 24, 1990. After a few weeks of operation, scientists noticed that images being sent back from Hubble were slightly blurred. The distortion was caused by a spherical aberration in the primary mirror built by Perkin-Elmer, due to a miscalibrated measuring instrument that caused the edges of the mirror to be ground slightly too flat. Ball designed the Corrective Optics Space Telescope Axial Replacement (COSTAR), which included the University of Colorado’s Cosmic Origins Spectrograph and in December, 1993, the crew of STS-61 embarked on a service mission to replace a number of Hubble’s parts. Following intensive training on the use of new tools never used before in space, two teams of astronauts completed repairs during a record five back-to-back spacewalks. 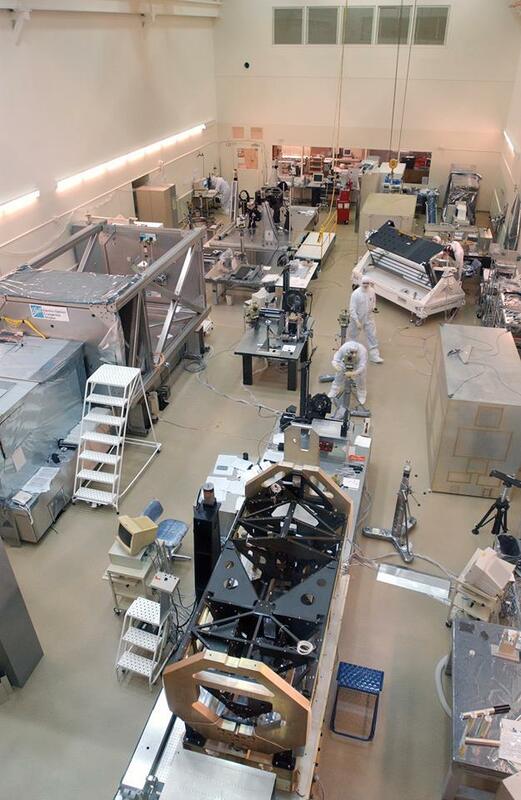 During the EVAs, COSTAR was installed and the Wide Field/Planetary Camera was replaced with the Wide Field/Planetary Camera 2, which was designed to compensate for the mirror problem. The team also performed basic maintenance on the craft, installed new solar arrays, and replaced four of Hubble’s gyroscopes. Shortly after the crew returned to Earth, Hubble Space Telescope began returning sharp and spectacular images. Astronomers could now take advantage of a fully functional space telescope, and the public was treated to breathtaking photos of stars, galaxies, nebulae, and other deep-space objects. Subsequent servicing missions improved Hubble’s capabilities and performed routine repairs, and today, all five of Hubble’s optical science instruments are Ball-built. The Hubble Space Telescope, a joint ESA and NASA project, has made some of the most dramatic discoveries in the history of astronomy. From its vantage point 600 km above the Earth, Hubble can detect light with ‘eyes’ 5 times sharper than the best ground-based telescopes and looks deep into space where some of the most profound mysteries are still buried in the mists of time. For the 31st Symposium, Ball is the sponsor of the Exhibit Pavilion where the world’s latest space technologies, products and services will be showcased. Visit Ball Aerospace at Booth #403.